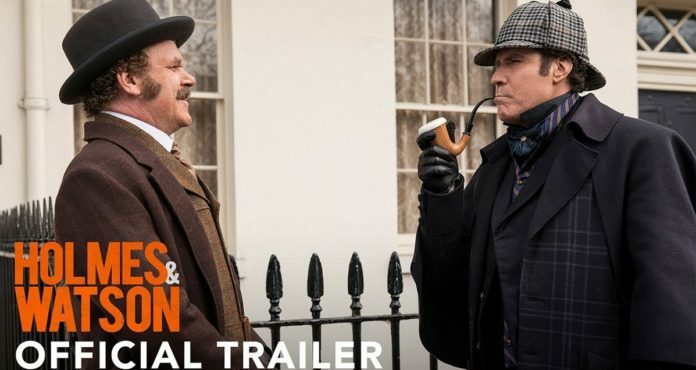 Holmes & Watson got its first trailer recently. It has been more than ten years since Will Ferrell and John C. Reilly came together as a leading duo in a film. When was the last time? They last came together in the iconic 2008 film Step Brothers, which is regarded as a comedy classic. Their first joint venture, Talladega Nights, is also an awesome movie. Now, the duo is back in a totally different comedy film which sees them playing the legendary characters of Sherlock Holmes and his reliable assistant John Watson. 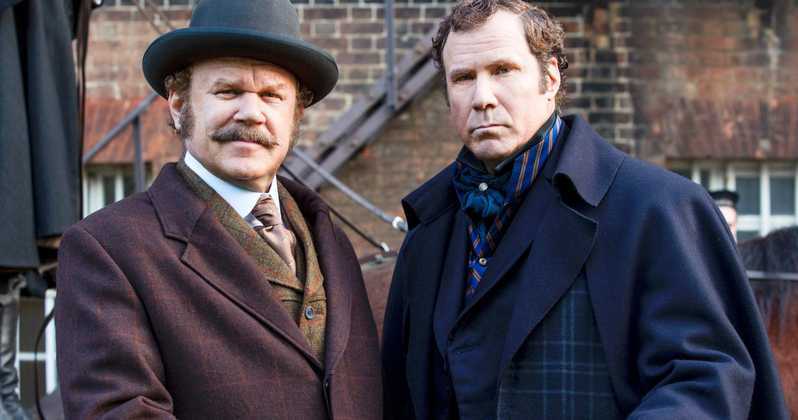 The first trailer of the movie is full of slapstick humor featuring Will Ferrell and John C. Reilly. The entire premise of converting the Sherlock Holmes saga into a comedy film has given this beloved duo of comedians, plenty of material. Honestly speaking, the trailer doesn’t feature any unforgettable jokes. On the contrary, it takes a shot at a lot of contemporary things which would appear ridiculous in the era in which the film is based, for example, Watson’s attempts at taking a selfie with an old-generation camera. Admittedly, this might not be the best first trailer, but, it is no doubt a joy to see the two comedians come together again. A lot of people would have wanted to see them in Step Brothers 2, but, they will have to make do with what is available. Sherlock Holmes is a character that has seen various big and small screen versions over the years, including the BBC’s Sherlock or the 2015’s Mr Holmes starring Sir Ian McKellen and of course the Robert Downey Jr. version. 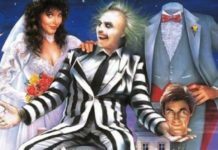 However, it is rare to see it as a comedic adaptation. Maybe this is the Robin Hood In Tights sort of a thing for the Sherlock Holmes mythos. The cast of the movie includes Rebecca Hall, Rob Brydon, Kelly Macdonald and Ralph Fiennes, who is playing the evil Professor Moriarty. 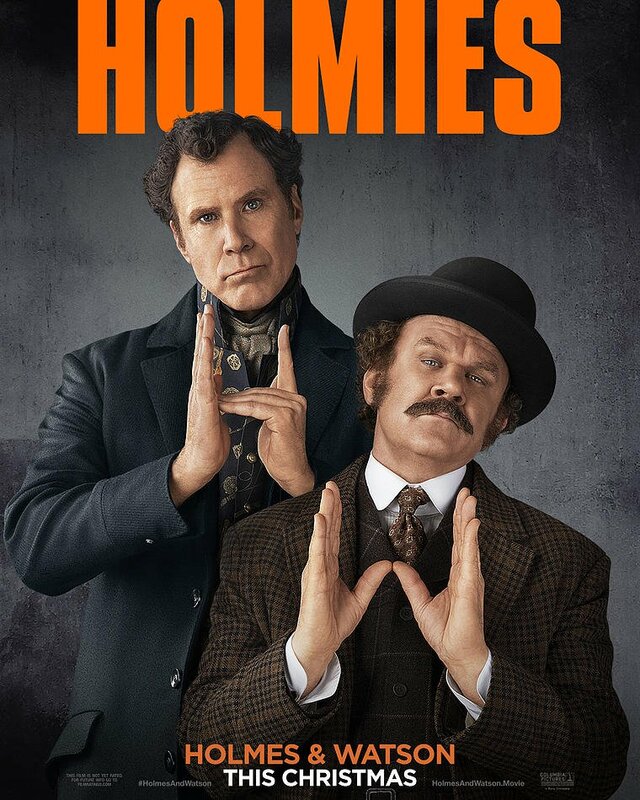 Among the biggest setbacks for Holmes and Watson is that Adam McKay is not directing it. The film is being directed by Etan Cohen, who had previously directed the comedy featuring Kevin Hart and Will Ferrell titled Get Hard. While we have all the respect for Mr Cohen, it is certainly a letdown in terms of direction. No matter what, we are sure that the audiences are going to be quite interested in this duo. Sadly, there is some fierce competition for the detective. 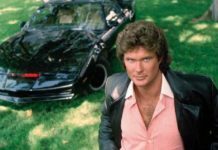 The film will directly clash with the Warner Bros. superhero movie Aquaman, Paramount’s Transformers spin-off film Bumblebee and Welcome to Marwen by director Robert Zemeckis. The release date of 21st December is extremely crowded, but, this might also turn out to be a good option for those who are not interested in watching an action flick. Apart from the trailer, the Studio has also unveiled a fresh poster for the film, which is shared below for you to check. Do watch the film’s trailer courtesy of Sony Pictures Entertainment’s YouTube channel.